Ok we get it, the Royal Wedding is on the horizon and we of course wish Prince Harry and Megan Markel all the best. But we’re looking at Wedding Season and Wedding Fever from a different angle, although having said that we do think our jewellery for Bridesmaids and Page Boys is fit for a Prince or Princess! We’d prefer to celebrate everyone else who is tying the knot and at the same time make sure their Little Bridesmaid or Page Boy is given the perfect keepsake for remembering the special day, a lasting momento and something to treasure forever, but most importantly a precious little something that will finish their outfit perfectly and look great. It is of course tradition to give Bridesmaids or Best Men a jewellery gift for their help and support on the big day and we think it should be no different for your younger participants. What could be more exciting than taking on the responsibilities of helping the Bride or Groom and receiving a Diamond Locket, Pearl Bracelet or Solid Silver Bangle in return. 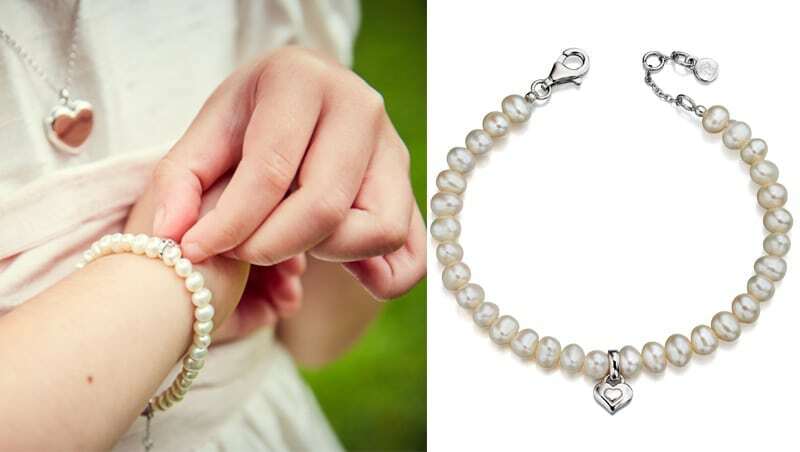 Classic Pearls for your Little Girl. 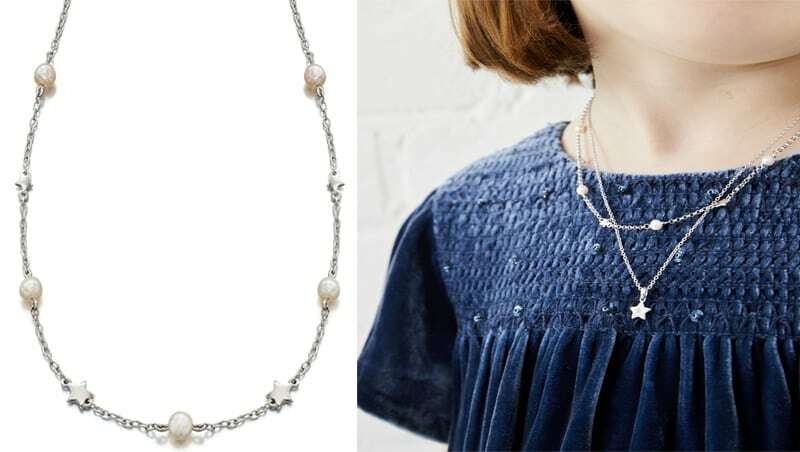 The gift of pearls at a wedding is a long standing tradition and our Marni Freshwater Pearl Bracelet is the perfect way to make your Little Bridesmaid feel special. With an extender on the clasp it means it can fit all ages and for that extra special touch we’ve added a sterling silver heart charm. To make it an even more personal heart felt gift the charm can be engraved with an initial, even better is that we do this free of charge with our engraving service. 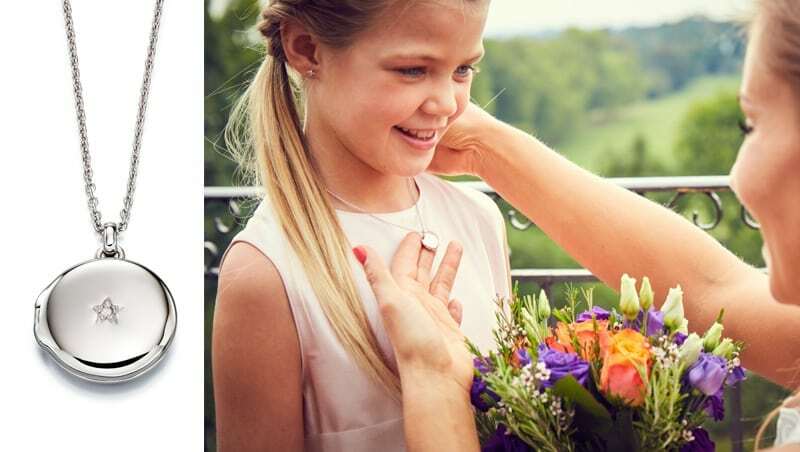 Sterling Silver and set with a real Diamond our Adriana locket is the ideal way to give a gift with an extra personal touch and make your Little Bridesmaid feel super special. Able to hold two small photographs and be personalised on the back with a name, date or special message with our Free Engraving service, give her some real memories to take from the day. 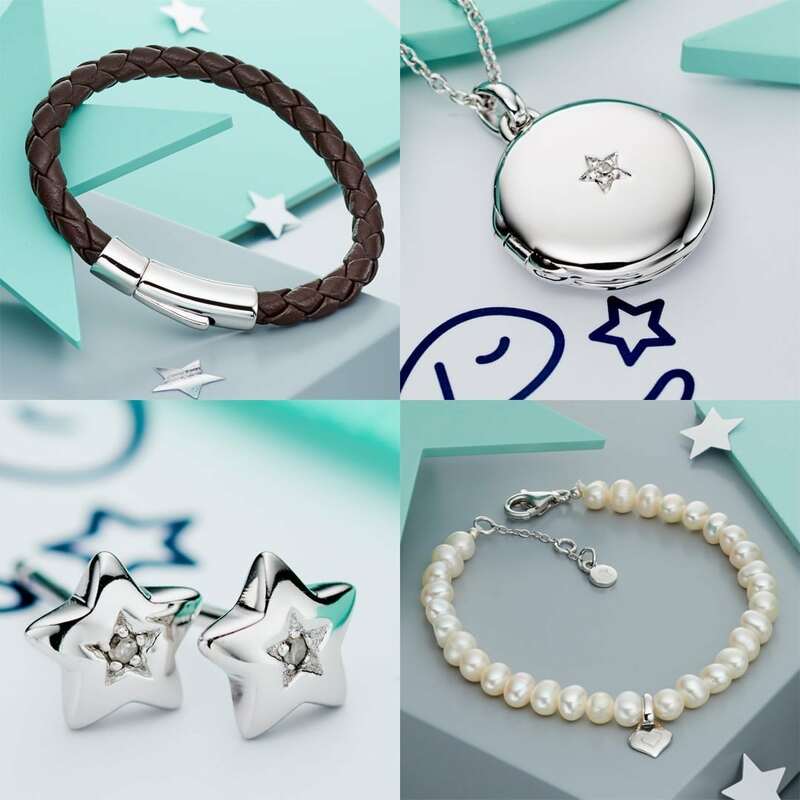 The classic pearl necklace given the Little Star twist. Our Tatiana necklace is Sterling Silver with a mix of our signature silver stars and Freshwater pearl. Perfect when layered with other pieces like our Kirsty Diamond Pendant or with its matching Anja Bracelet. A sophisticated way to make your Little Lady feel special. Nothing says special occasion more than a sparkling diamond and our Suri Heart and Noor Diamond Star stud earrings are just the job for a small wedding gift. 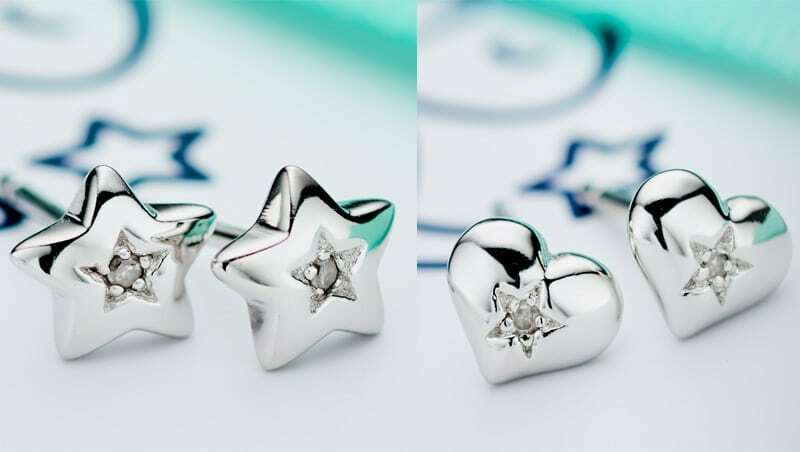 Small, delicate and elegant these sterling silver earrings are each set with a diamond in our signature star setting. Real Diamonds at £35 and with Free UK Delivery our earrings are the perfect little gift to give as a lasting token. 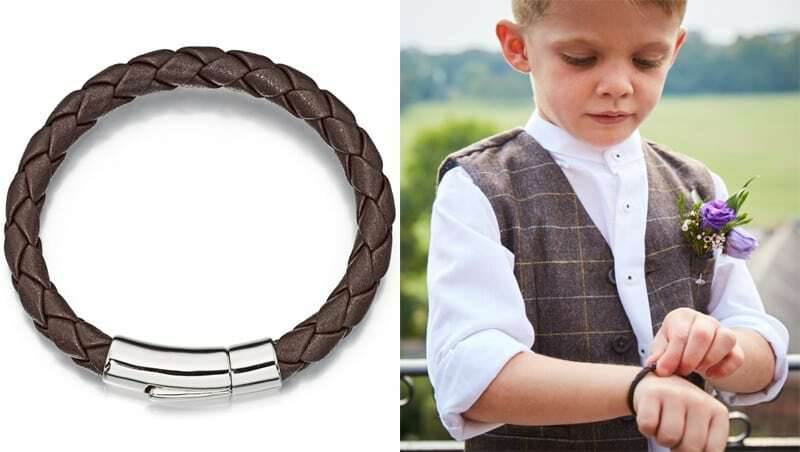 Make sure the Little Man is looking sharp for the big day by finishing his wedding outfit with our Andre bracelet. With a sterling silver hinged clasp for safety and a real leather strap this Boys bracelet is perfect for personalising with our Free Engraving service to give him a lasting memory of his day. Even better when paired up with our Mens version so he can be one of the boys with the Best Man and Ushers. 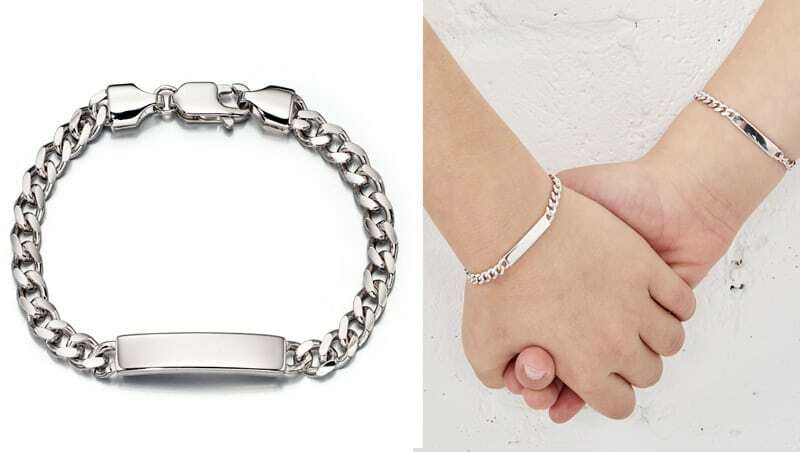 A classic Sterling Silver Boys Curb bracelet, perfect to add that bit of bling to his wedding threads. Let him know you value his efforts towards making a special day by adding a personalised name, initials or date as the Bailey bracelet ideal for engraving with our free service. With free UK delivery also it takes the hassle out of finding the perfect momento for your page boy.